Bucksbaum Retail Properties LLC and Structured Development LLC announce the Grand Opening weekend festivities for Chicago’s NEWCITY. 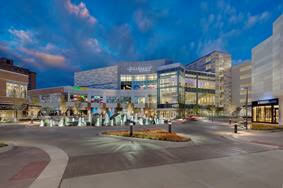 The long awaited development includes retail, dining, entertainment and residential living as well as an upscale grocer. NEWCITY is located in the heart of Lincoln Park at 1457 N. Halsted Street, at the intersection of Clybourn Avenue and Halsted Street. NEWCITY retailers will offer their own activities throughout the entire weekend. Special discounts; gift card giveaways; tours and FREE food will be offered. Check out free Chips & Salsa from open to close on Friday, October 30 and Sunday, November 1 and one free kids meal on Saturday, October 31 (per adult entrée order) at Adobe Gila’s. Free PERi-PERi Chicken will be a treat at Nando’s PERi-PERi between 11 a.m. – 1 p.m. (dine in only) on Saturday, October 31! Details athttp://peri.io/nandosdash. About Bucksbaum Retail Properties, LLC. Based in Chicago, Bucksbaum Retail Properties (BRP) is a fully integrated real estate developer of mixed-use projects with a primary focus on retail. Understanding the relationship between a high-quality of life and the built environment, BRP is incorporating office, residential and hospitality uses into its projects to create a sense of place for consumers, residents and businesses. Founded in January 2002, Structured Development pursues unique real estate opportunities in high-density urban and suburban settings. The firm is experienced in projects as diverse as the renovation of The Chicago & Northwestern Railroad Powerhouse building, a historic landmark; the redevelopment/plant improvement of a Sara Lee research facility on Goose Island (now Kendall College campus); and Blackhawk on Halsted, a multi-story mixed use urban development. Structured Development strives to unlock and enhance the value of real estate and to improve the urban and suburban fabric through conscious, innovative planning and development. 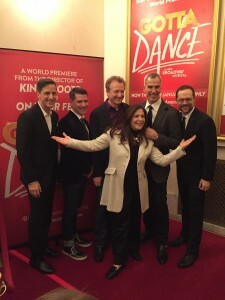 Showbiz Chicago: OPENING NIGHT LIVE ON THE RED CARPET "GOTTA DANCE"